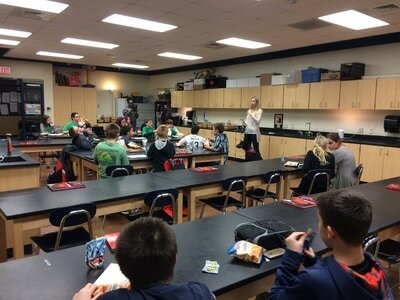 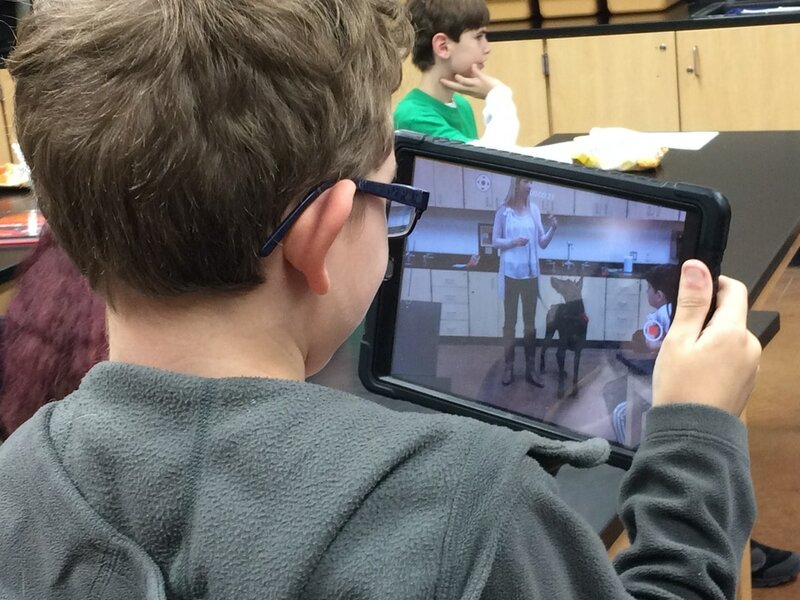 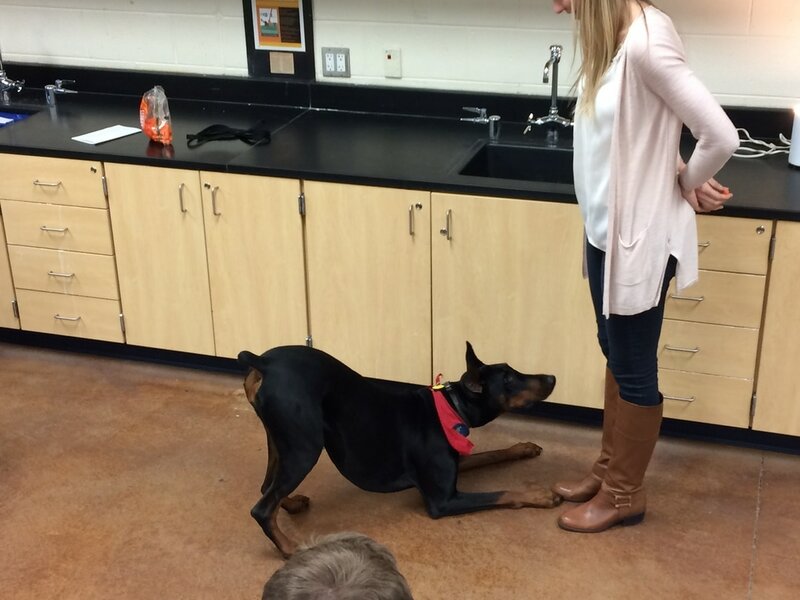 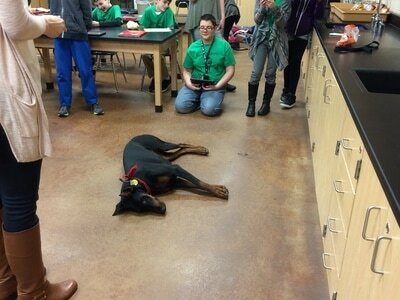 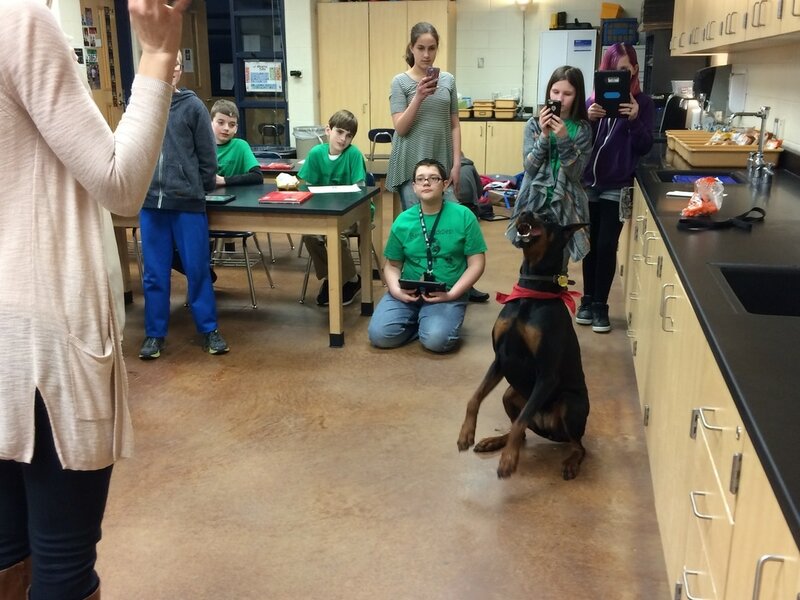 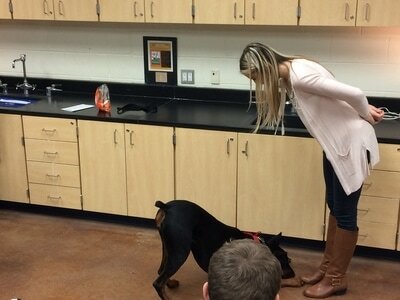 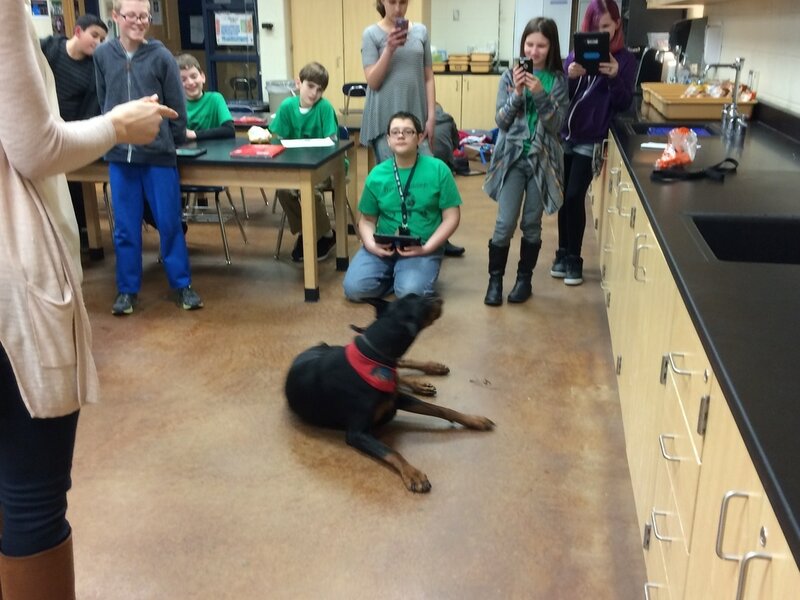 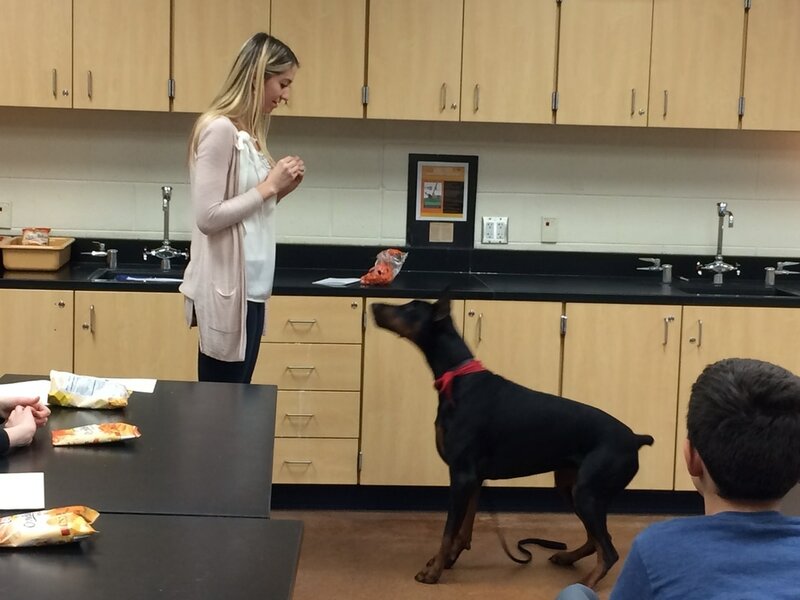 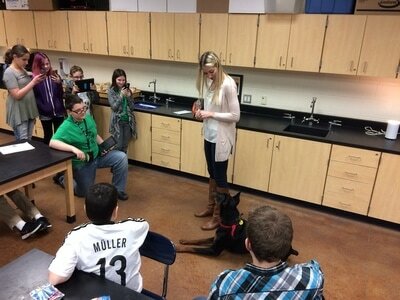 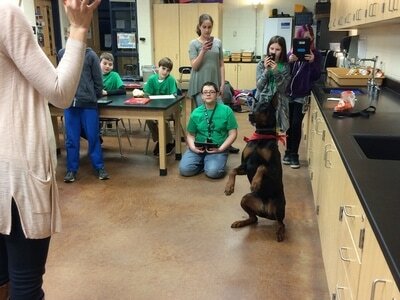 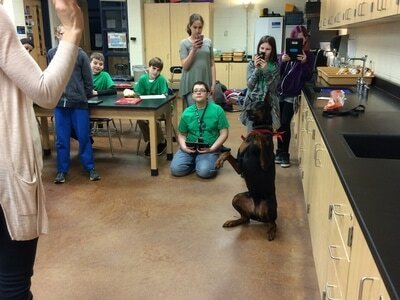 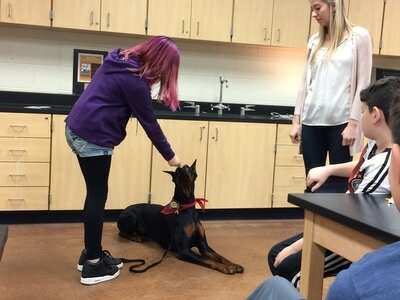 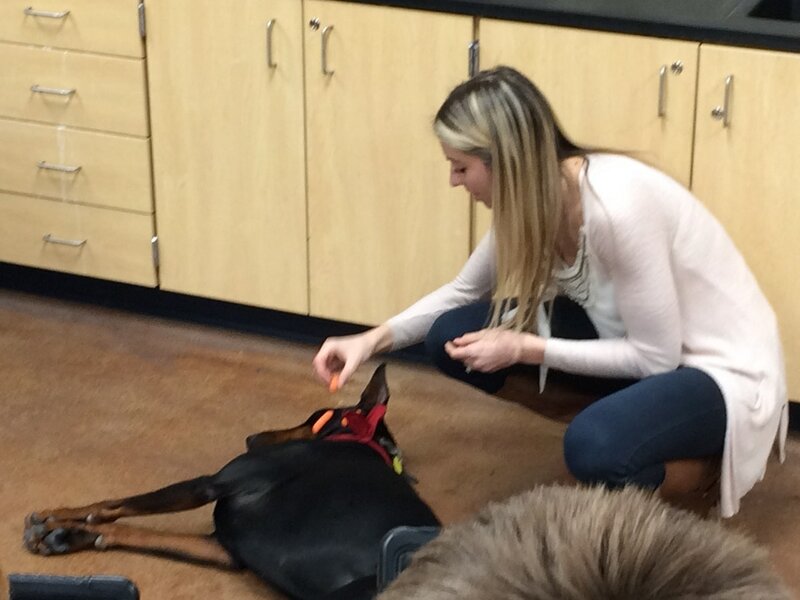 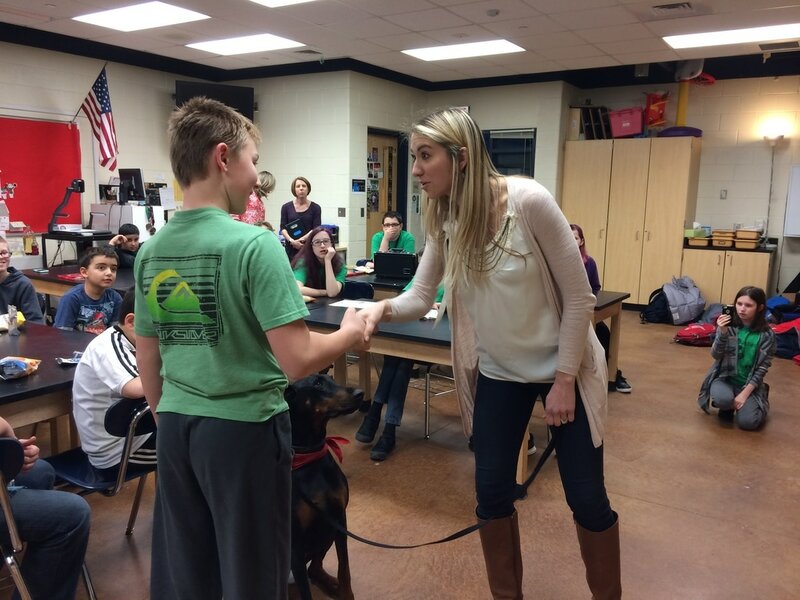 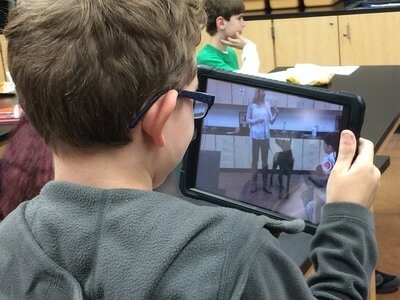 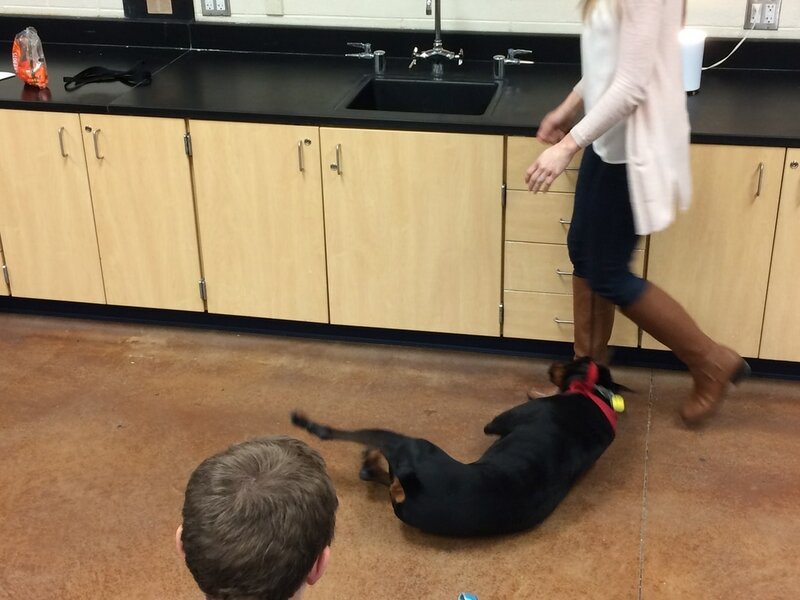 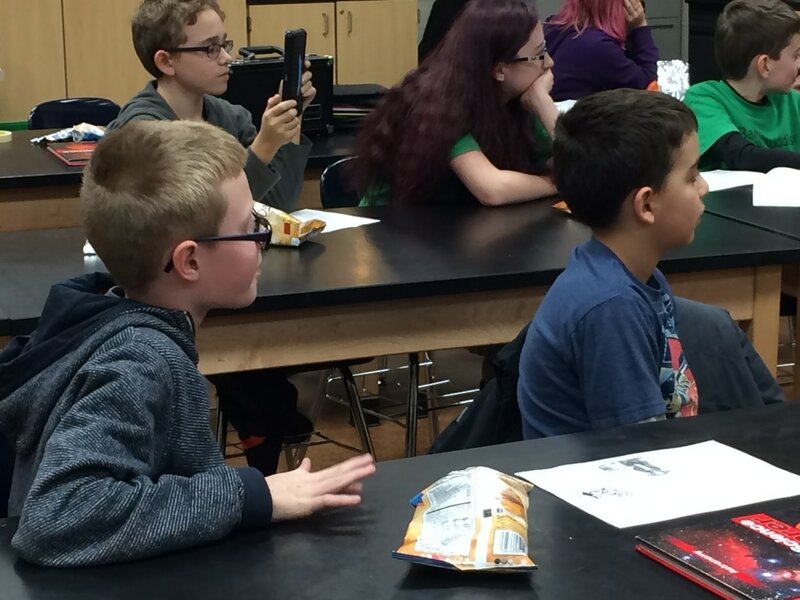 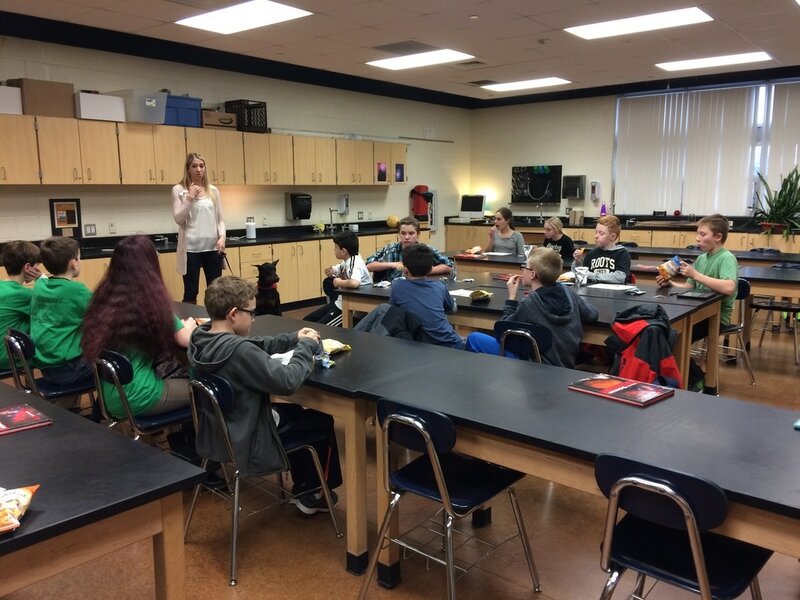 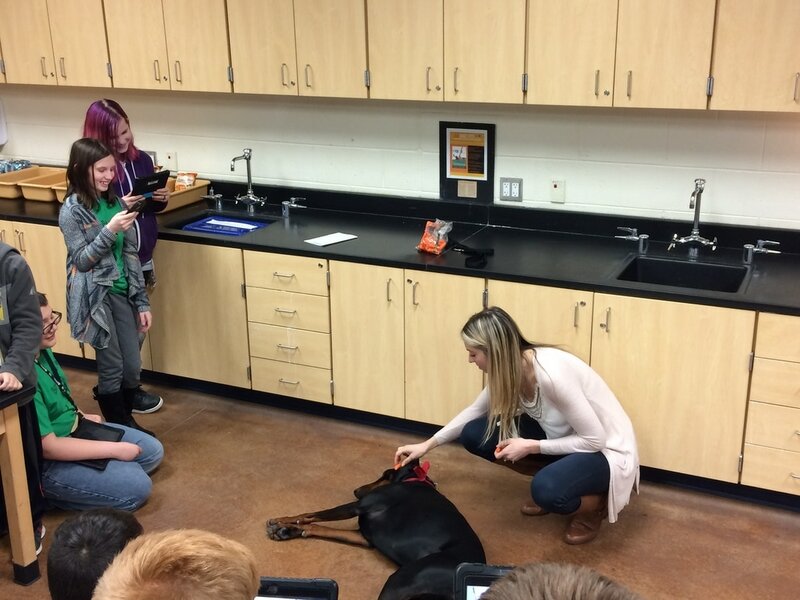 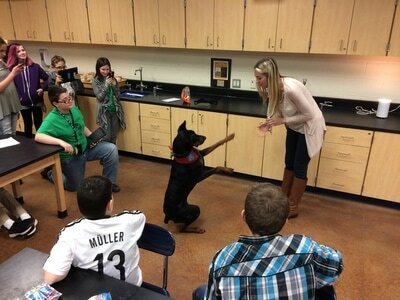 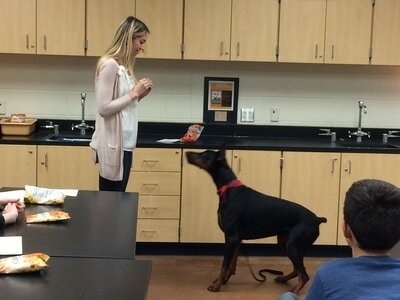 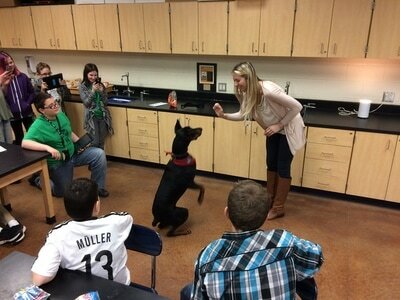 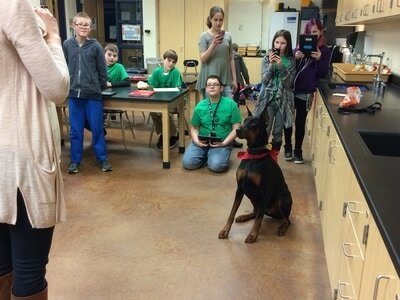 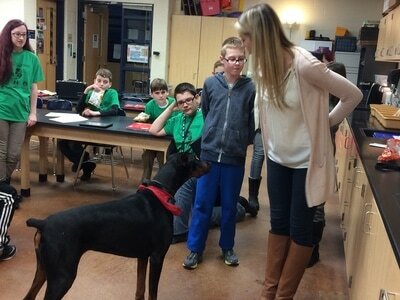 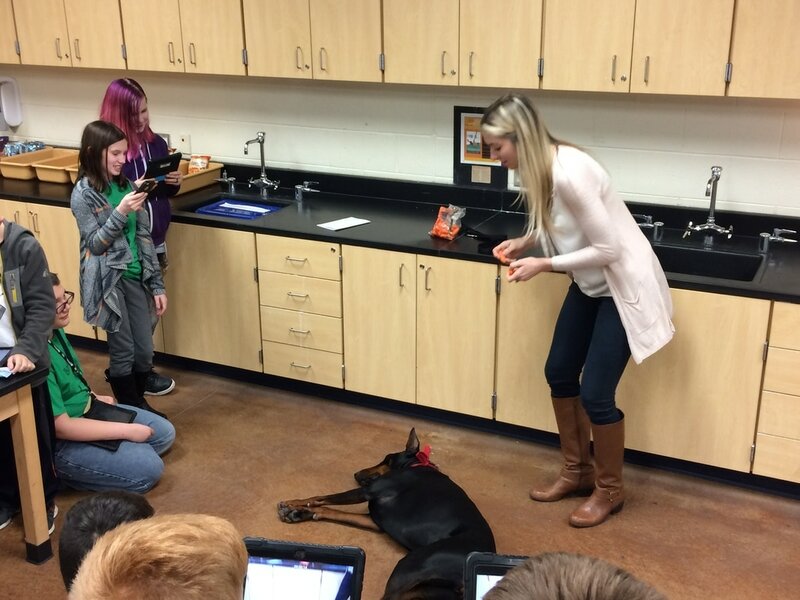 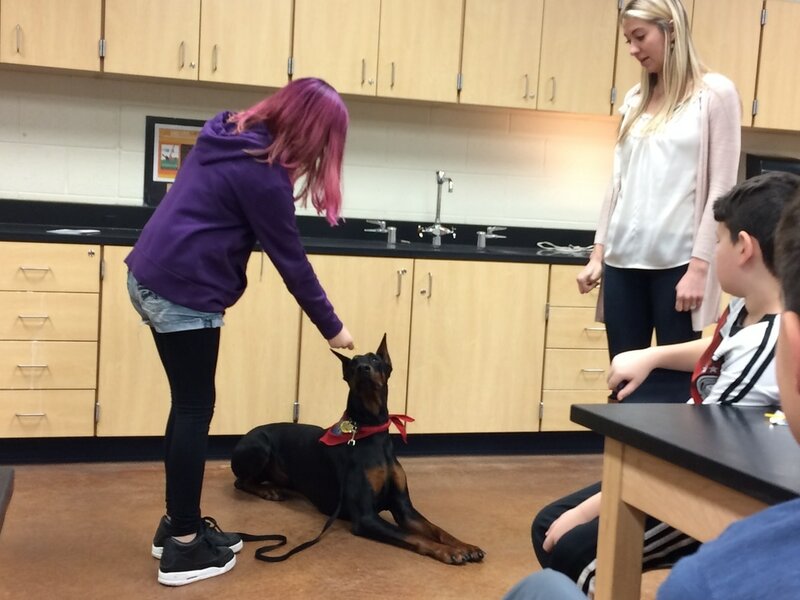 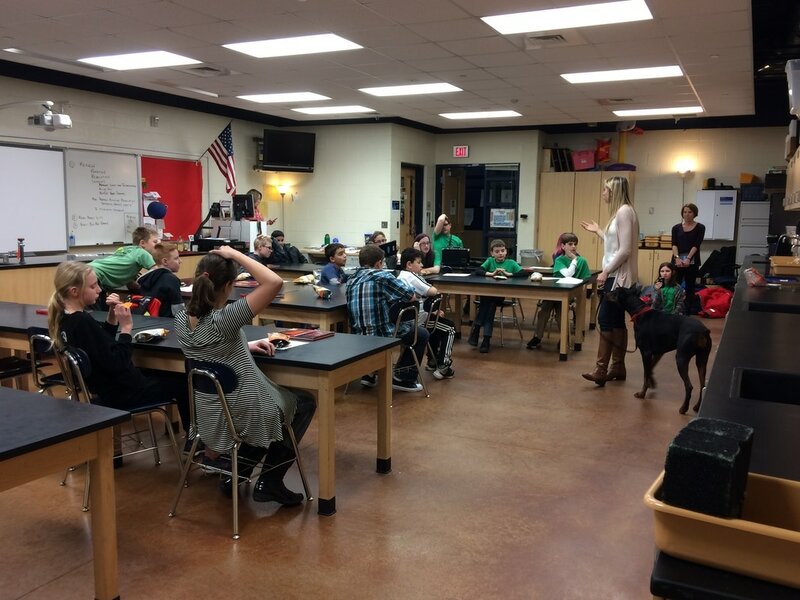 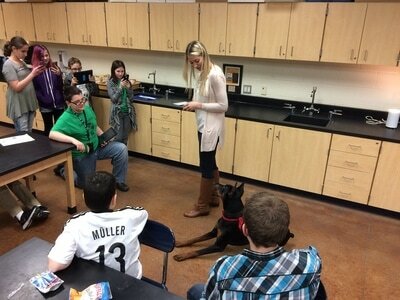 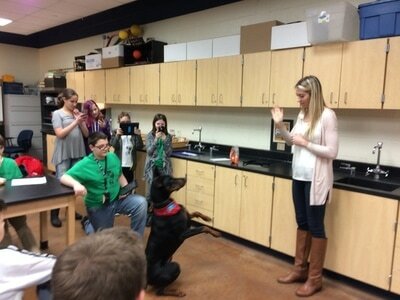 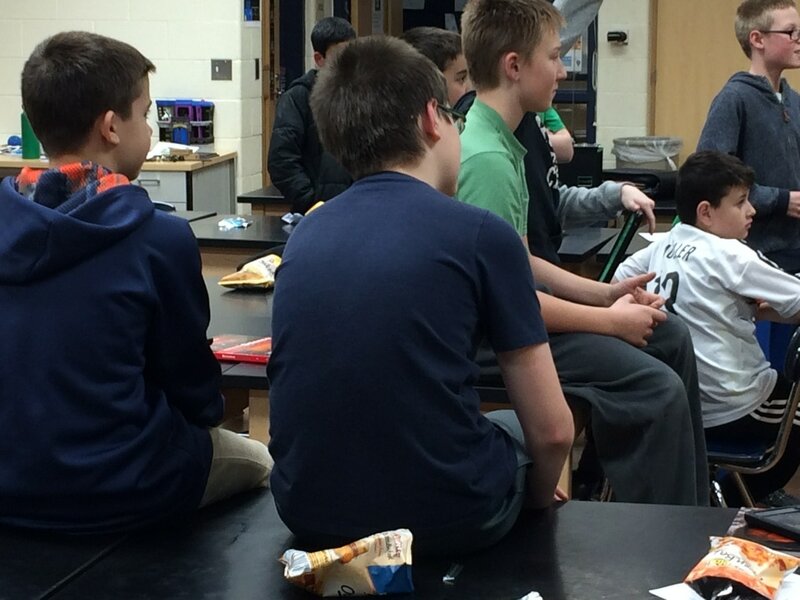 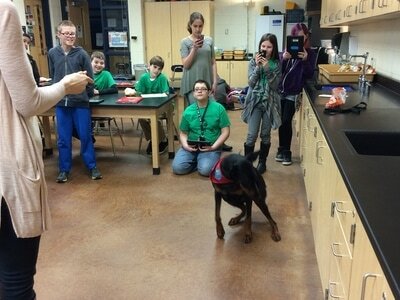 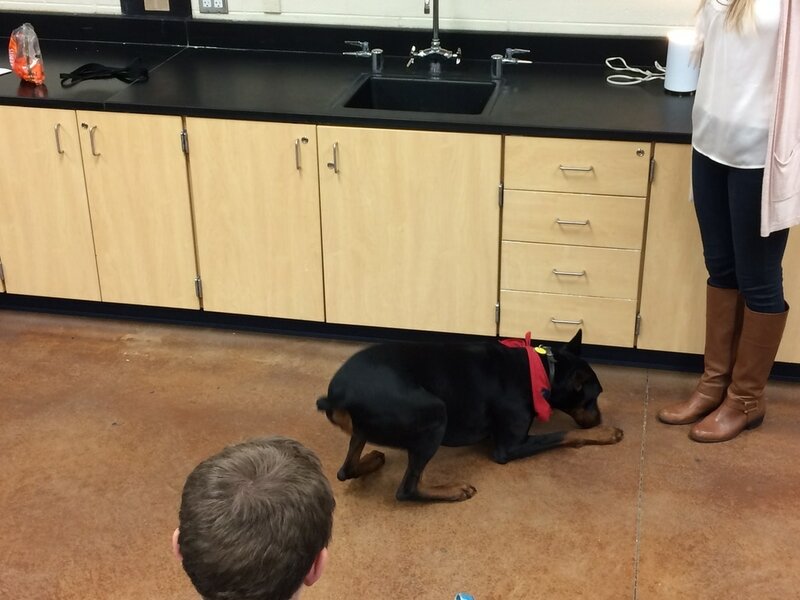 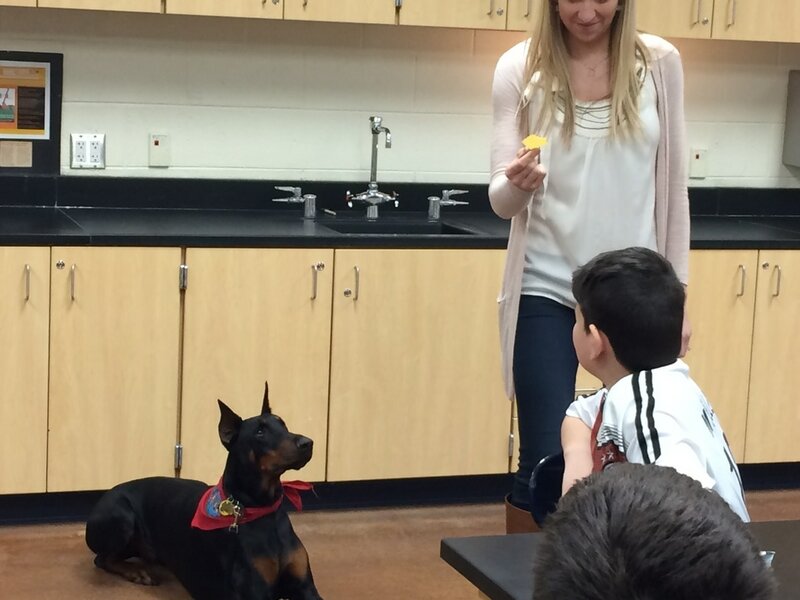 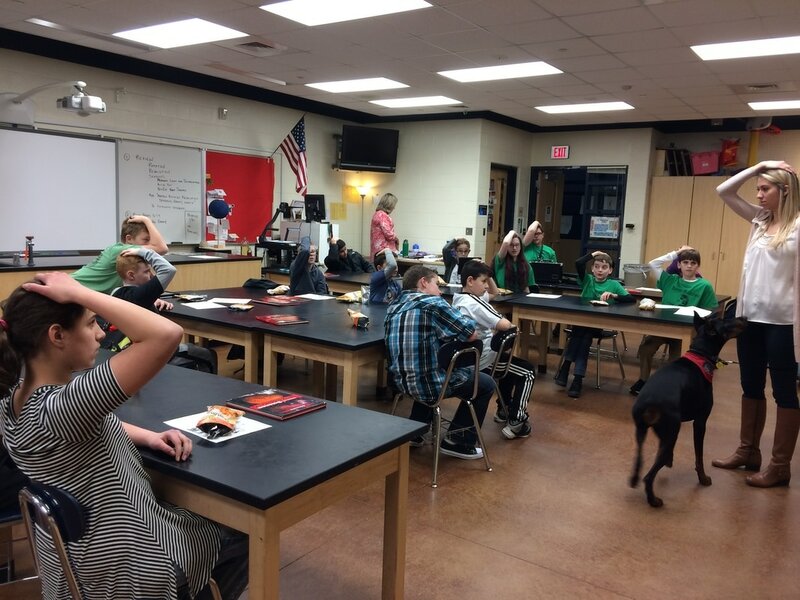 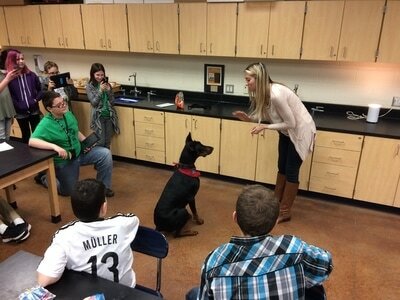 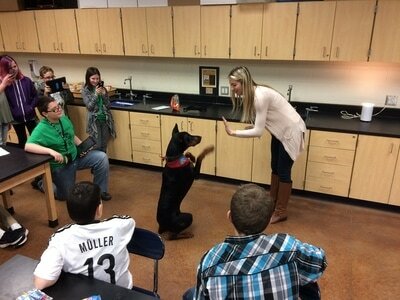 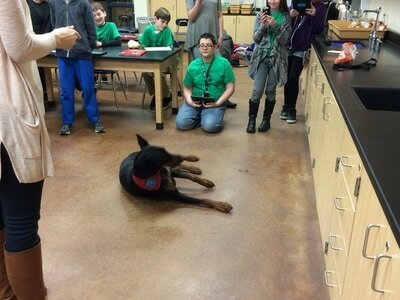 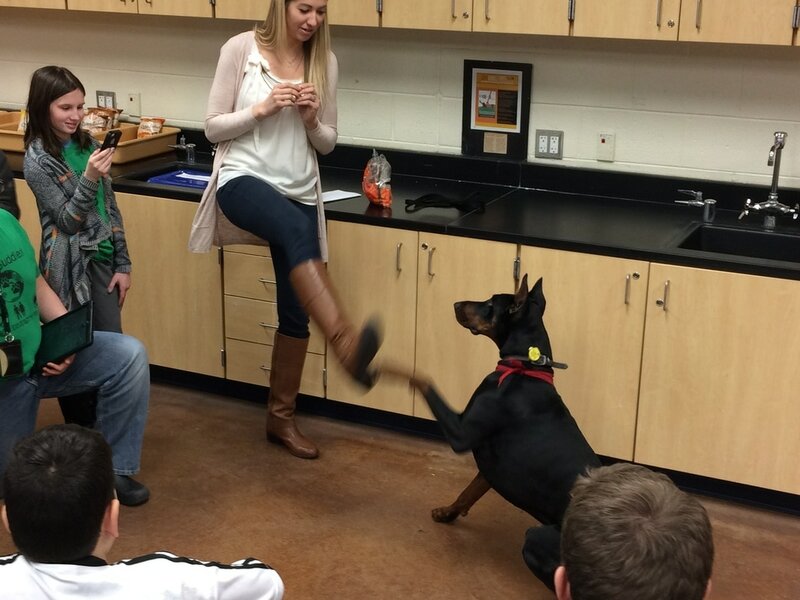 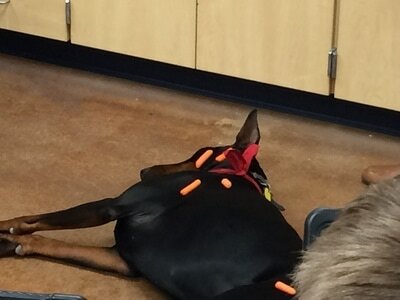 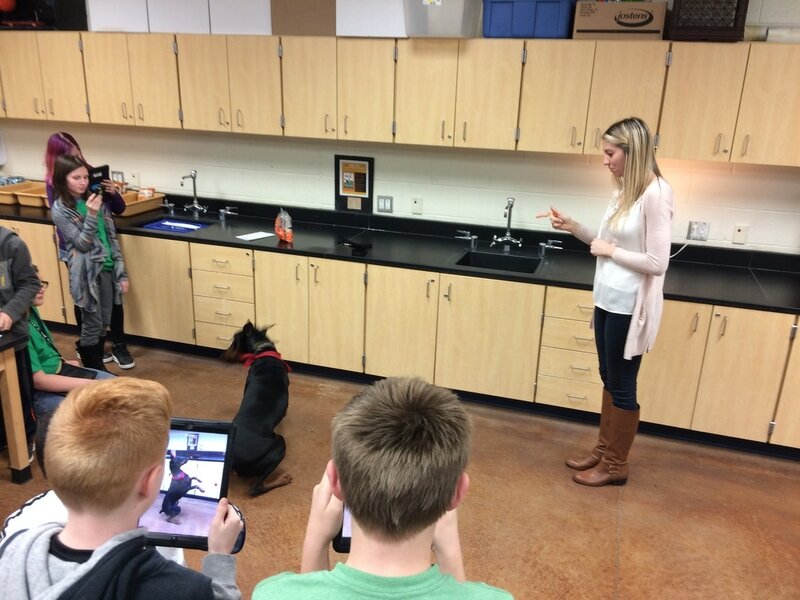 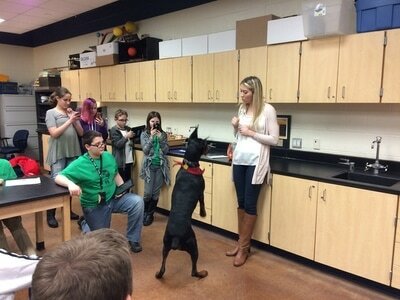 The purpose of today’s speaker was to allow students to see how animals can help people in a variety of ways. 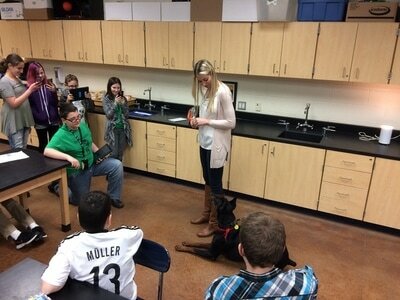 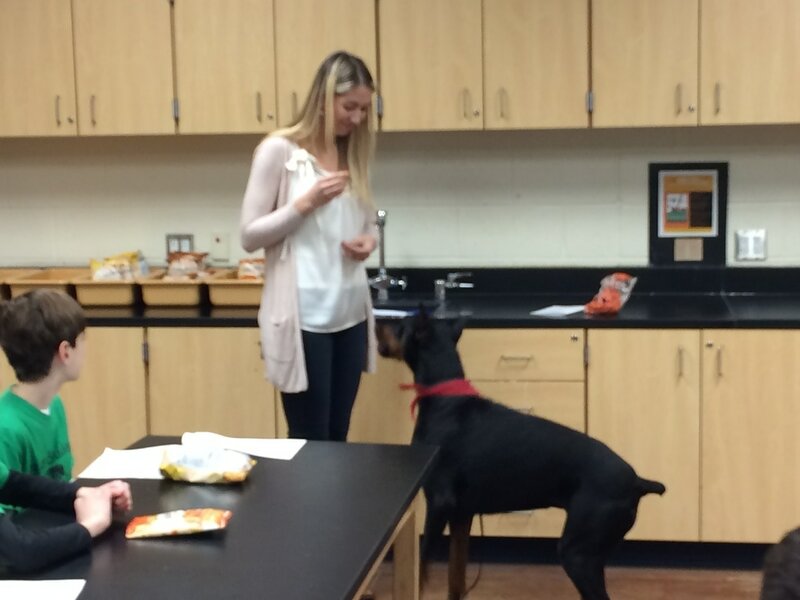 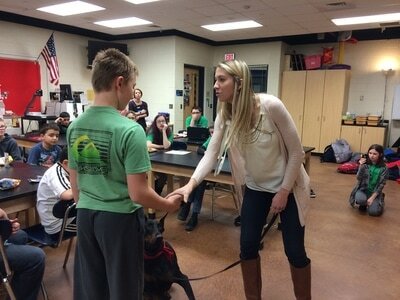 Mrs. Becker, a 7th grade Math Teacher at Baker, brought in a therapy dog. 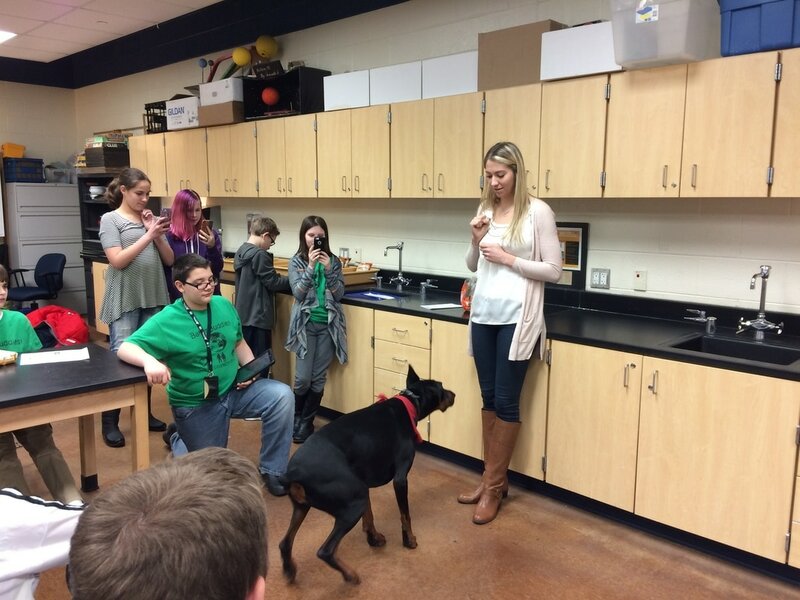 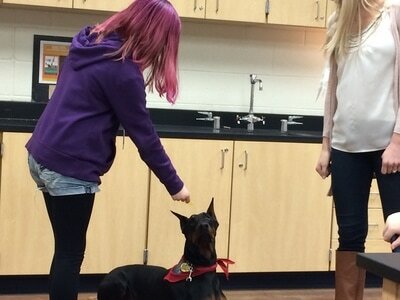 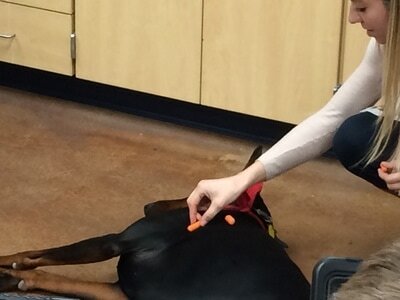 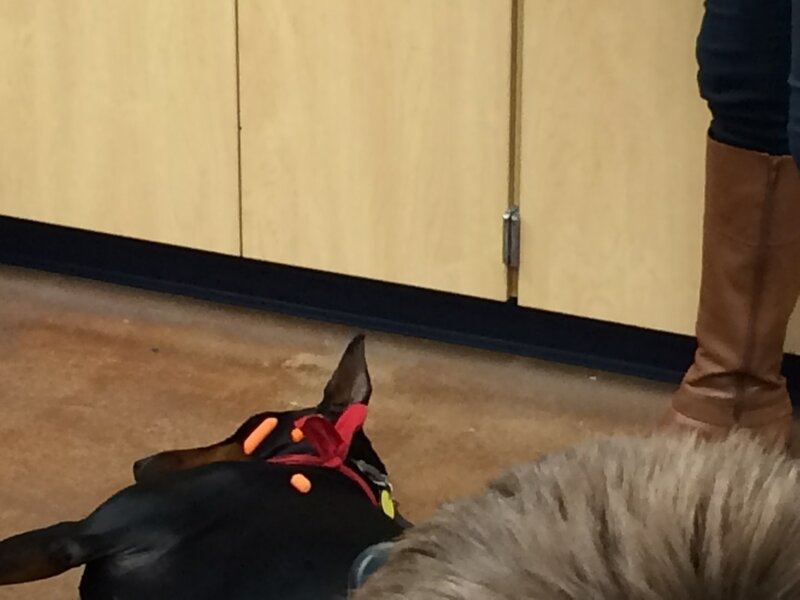 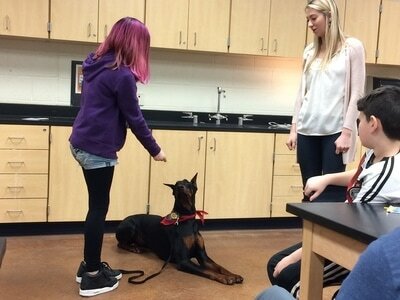 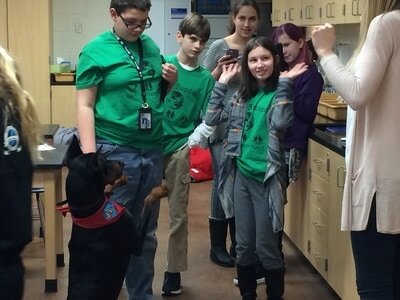 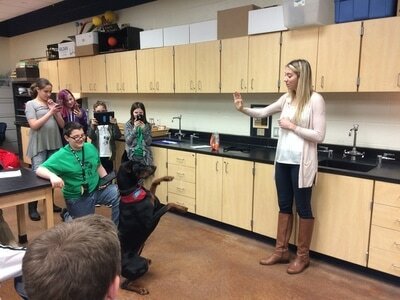 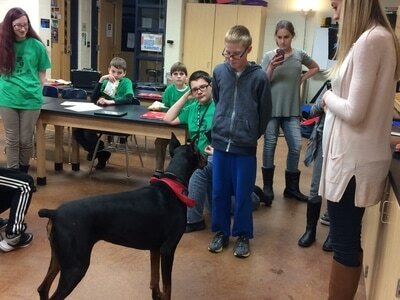 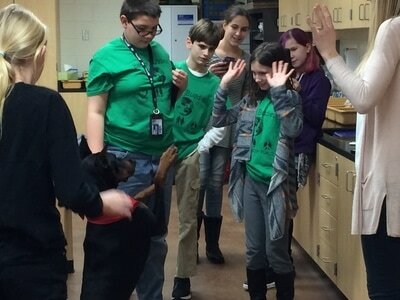 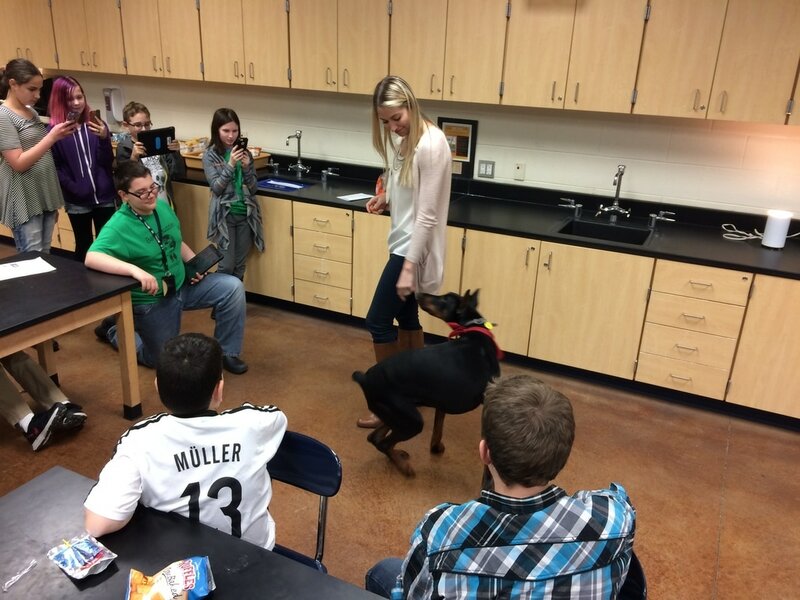 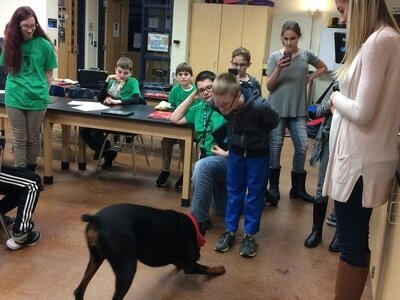 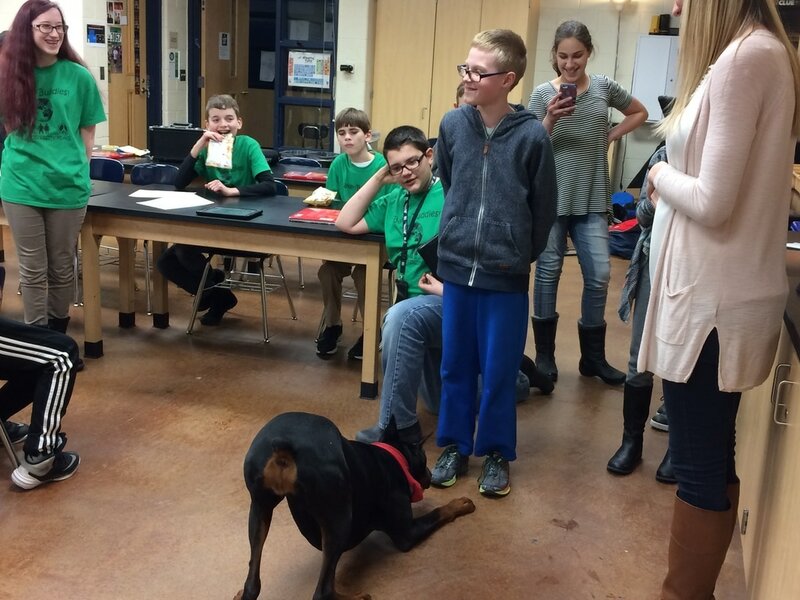 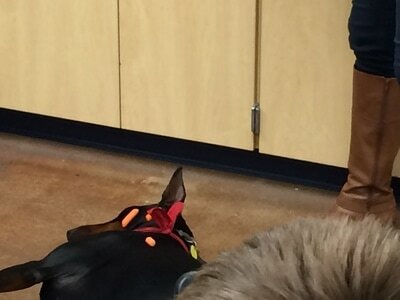 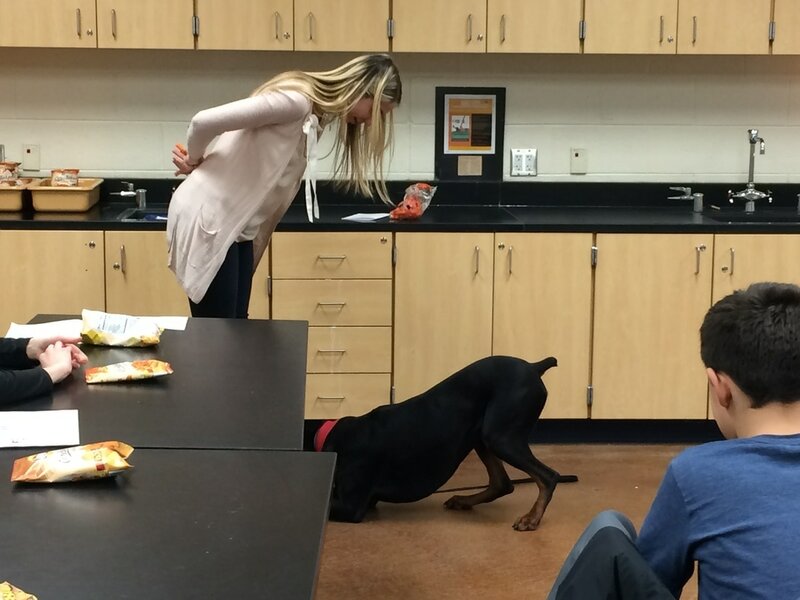 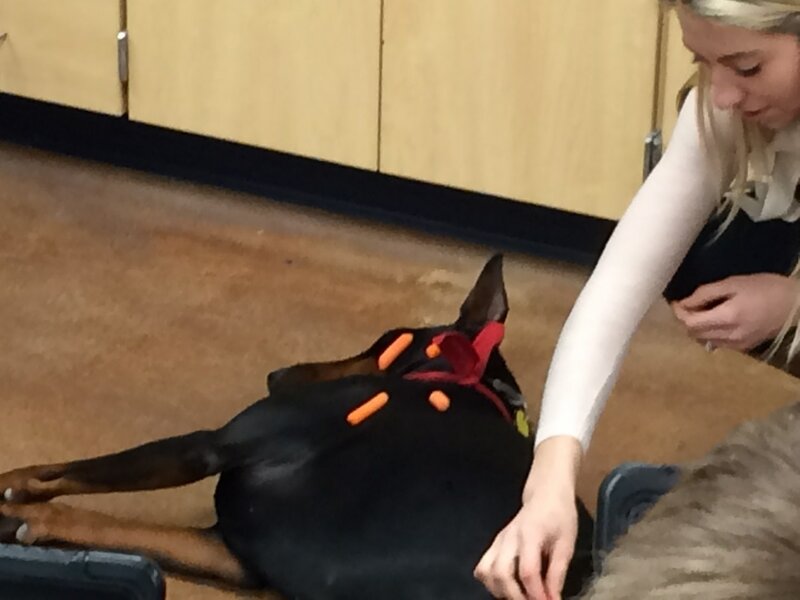 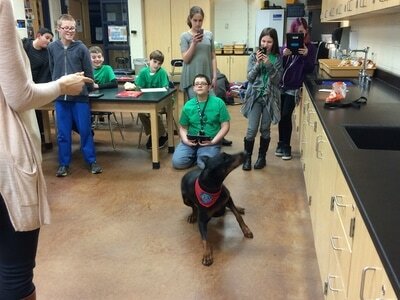 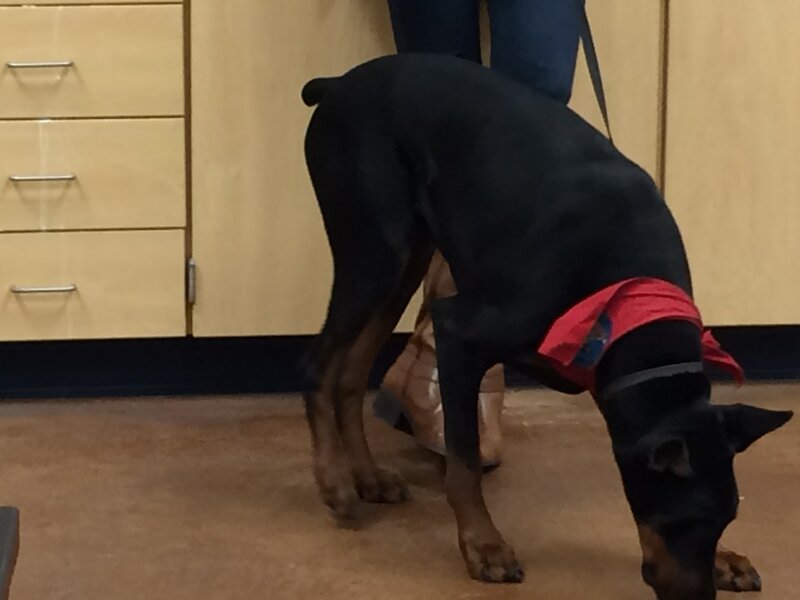 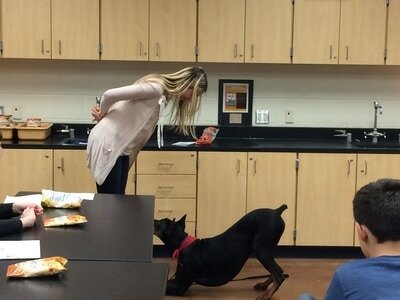 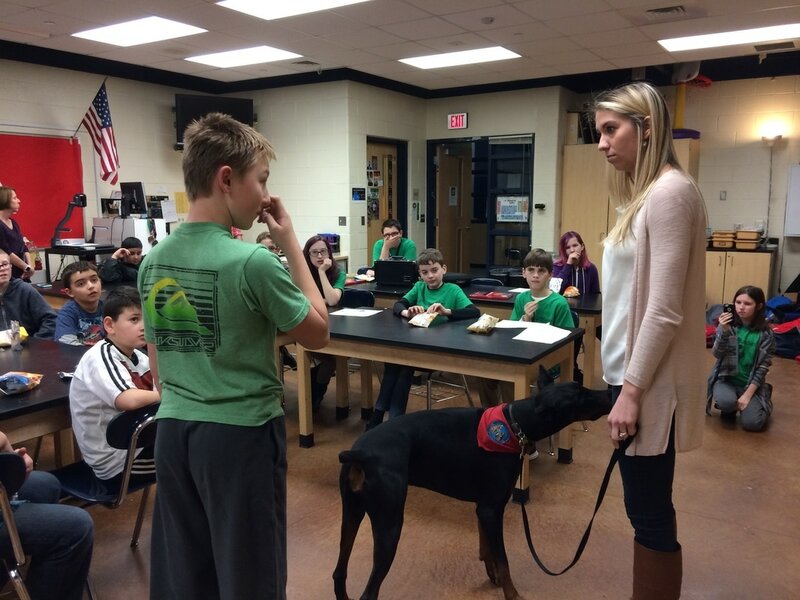 She reviewed the training process, the various jobs of therapy and service dogs, and let the students experience Stella first hand. A therapy dog is able to provide comfort to people experiencing hardships. 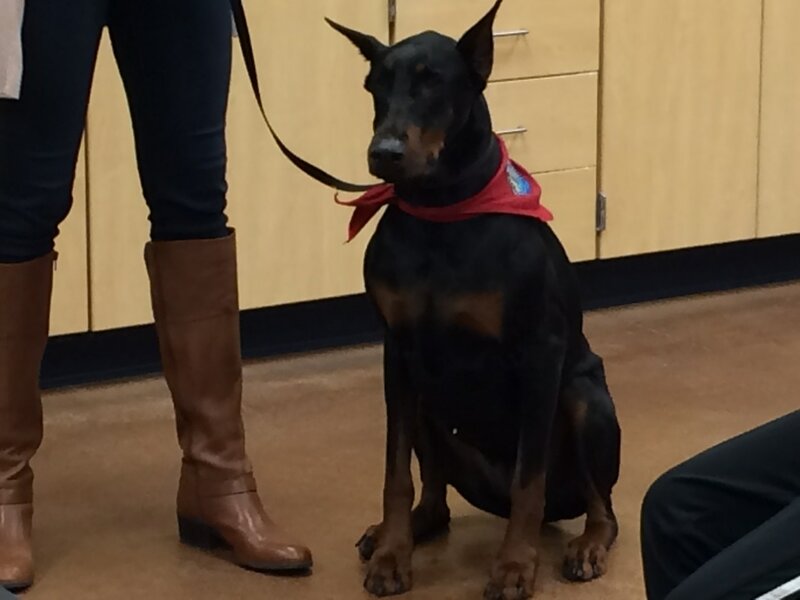 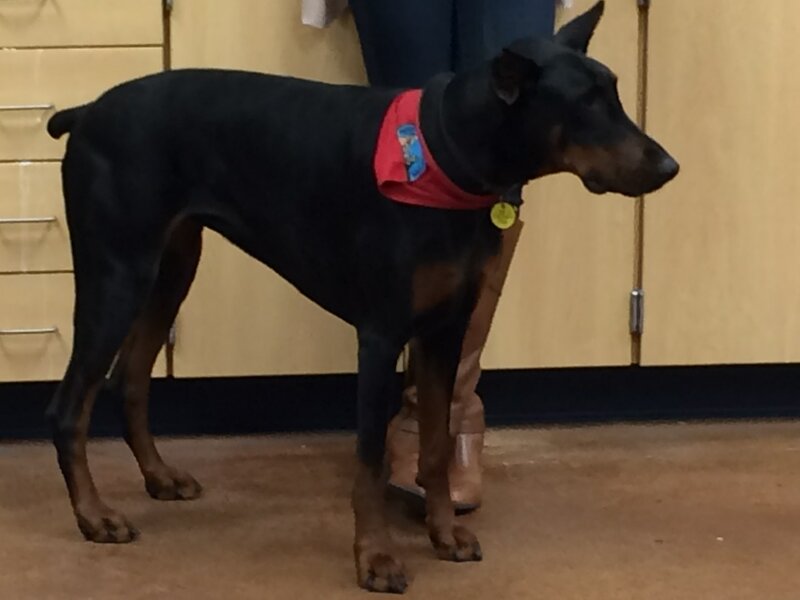 Mrs. Becker has trained Stella to visit individuals in hospital settings. 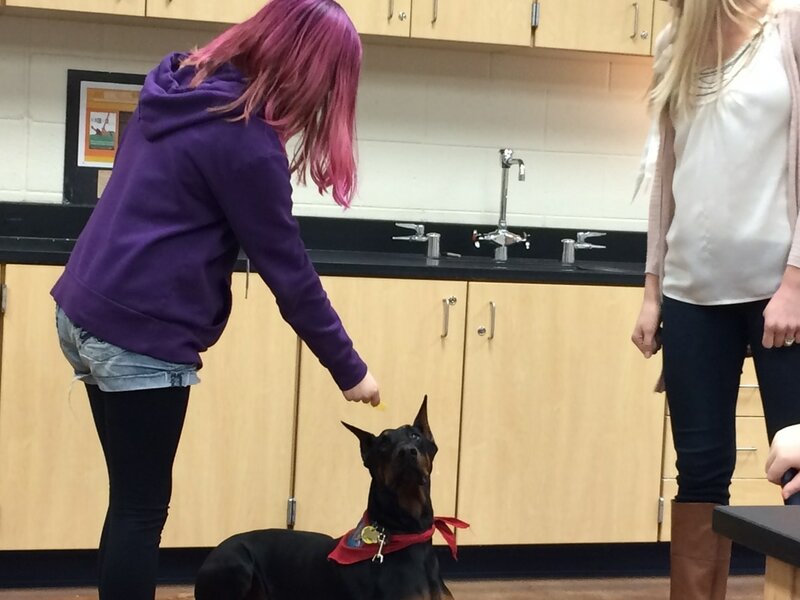 Stella brings a lot of joy to those around her and has a strong therapeutic presence. 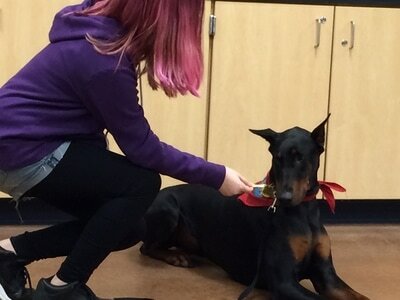 Animals can be buddies too!